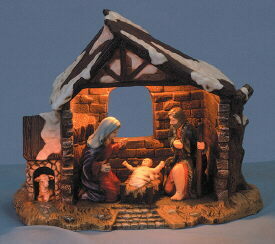 The Nativity offers a gentle glow to light the night. Translucent porcelain. Measures: 8 3/4" x 4 1/2" x 7" high.